Visitors to La Quinta and the Palm Desert area expect five-star accommodations, excellent dining and a full-time concierge. And with the number of Hollywood celebrities that make their way here, rolling out the “red carpet” (literally) is a common occurrence. However, in other parts of the nation that level of customer service isn’t generally associated with a medical center. We’re blessed to have the Greg and Stacey Renker Pavilion at the Eisenhower Medical Center. Of course no one looks forward to spending time in a hospital like they do a vacation resort, but it’s great to know an upscale facility like this is available in our area. Our family got a first-hand look at what they do at the Renker Pavilion recently when my husband, Tom, went in for back surgery. To say we were impressed by the level of care, the quality of the food, the privacy and all the amenities would be an understatement. As we navigated through the challenges that Tom’s surgery gave us, the care and support we received at the Renker Pavilion made a huge difference in our lives. Access to excellent medical care is becoming increasingly important to families and individuals as they decide where they want to live. Newspaper headlines have shown us that there are some corners of our nation that are underserved by the health care system. Fortunately, residents in La Quinta don’t have that problem. Top quality medical facilities are abundant and the Greg and Stacey Renker Pavilion might just be the “bloom” on the desert rose. It truly sets the standard for personal service and comfort as well as individualized medical care in the health care industry. I might also mention that the Renker Pavilion exists because of the hard work and dedication of Greg and Stacey Renker. Both found themselves fighting life-threatening illnesses. They were so grateful for the treatment and heartfelt care they received at the Eisenhower Medical Center that they decided to spearhead the founding of this very special facility. Community spirit and philanthropy are a big part of life in the desert. Many of us who love the fact that we have so many golf courses to choose from here also appreciate the fact that we have great health care options, like the Renker Pavilion at the Eisenhower Medical Center. Maybe someday we should publish a map with health care resources just like we have our golf resource guide. What do you think? By the way, our golf guide is free and you can get it just by clicking the button at the bottom of this page. It gives you a great overview of La Quinta, Palm Desert, Indian Wells, Indio and neighboring areas. If you’re looking for real estate on or near a specific course, it will get you off to a great start in your house hunting. We’d recommend using our powerful search feature as your next step, or grab the phone and give us a call. You’ll find that just as the Renker Pavilion sets the standard for catering to the needs of its patients, the country clubs in our area set the standard for satisfying their members. 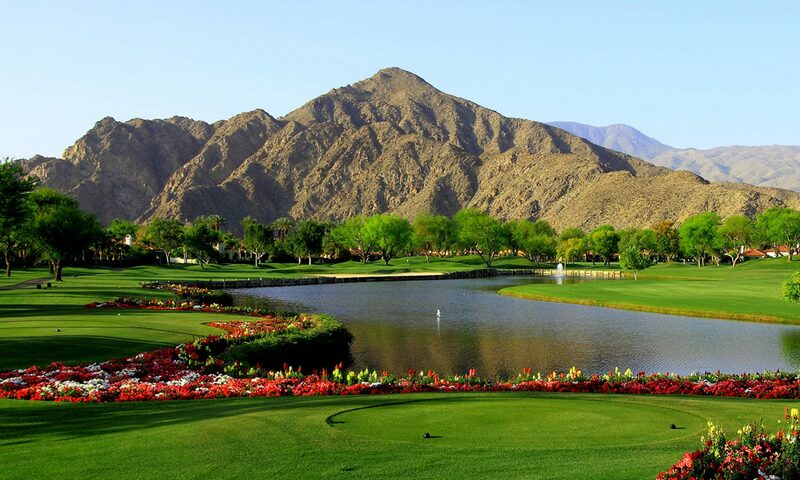 One that comes to mind is The Citrus Club at La Quinta Resort. The amenities are incredible, including its three courses, a great pool, tennis, spa, fitness center and more. Homes in The Citrus at La Quinta are equally outstanding and a number of prime properties are available right now. You can probably tell that we’re in love with this area and we truly enjoy sharing it with others. Give us a call and let us introduce you to the possibilities.